In the early years after the Civil War, the United States at first encouraged Chinese laborers to immigrate—to build the transcontinental railroad and dig mines. 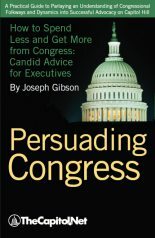 But when white settlers began to feel overrun, western politicians forged an alliance with southern Democrats who wanted to restrict the rights of recently emancipated blacks in the south and persuaded Congress to write a series of federal laws excluding Chinese people from citizenship and immigration rights. 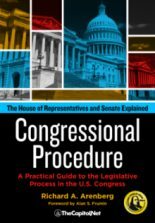 It wasn’t until 1943, during America’s alliance with China in World War II, that Congress finally repealed the Chinese Exclusion laws. After seventy years, one of the most offensive policies ever enacted by Congress was erased. 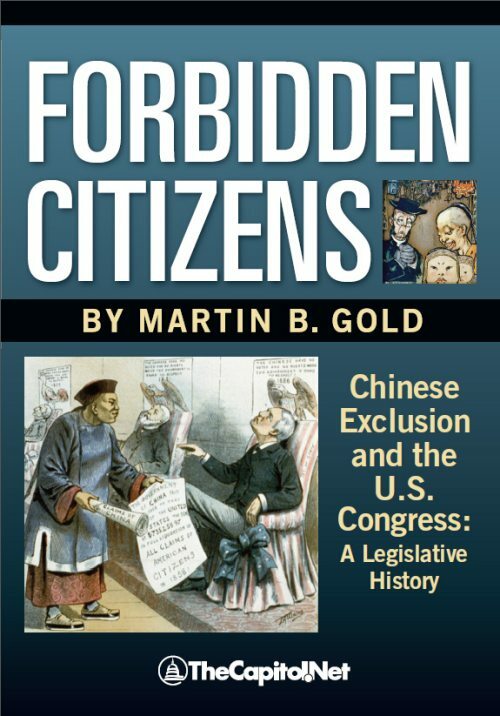 Forbidden Citizens: Chinese Exclusion and the U.S. Congress: A Legislative History, by Martin B. Gold (published July 4, 2012 by TheCapitol.Net), tells the inside story of the battle over Chinese exclusion, examining all of the exclusion laws using the words actually spoken in Senate and House debates. The Chinese experience facing legalized racism for 70 years provides an important perspective to examine current debates over immigration reform, labor relations, voting rights, trade relations, and an ineffectual Congress. 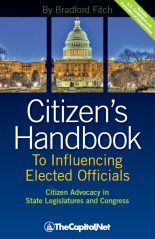 Gold’s book, the first to look in-depth at all exclusion laws as Congress saw the Chinese issue at the time, should be of particular interest to historians, students of Congress, Chinese-Americans and Asian Americans. Author Martin B. Gold is a government affairs attorney with Covington & Burling. As a member of the U.S. Commission for the Preservation of America’s Heritage Abroad, Gold spearheaded official recognition of Feng Shan Ho, a Chinese diplomat who saved thousands of Austrian Jews from the Holocaust. In October 2011, Mr. Gold was instrumental in passing S. Res. 201, an expression of regret for the Chinese Exclusion laws. In 2012, he was awarded the “Champion of Justice Award” by the Chinese American Citizens Alliance for his work on the project. Forbidden Citizens is available from your bookseller or online after July 4, 2012, in print and ebook formats. For more information see ForbiddenCitizens.com. Press release: 2-page PDF; Business Wire. 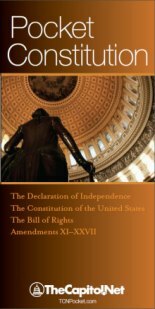 Declaration of Independence – Happy Independence Day!